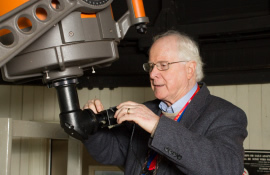 Edward J. Devinney Jr., Ph.D. is a visiting professor of Astronomy and Astrophysics at Villanova University. 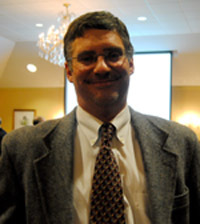 He is widely known for the “Wilson/Devinney” computer code for binary star light-curve analysis used by scores of astronomers. He has a bachelor’s degree in physics from LaSalle University, with a minor in both philosophy and religion, and a doctorate in astronomy and astrophysics from the University of Pennsylvania. He spent 10 year working in the Florida university system, including two as a National Academy of Sciences Senior Postdoctoral Fellow at NASA Goddard Space Center. He then spent nine years with Siemens U.S. research labs as head of the artificial intelligence department and chief scientist. He spun out a high-technology company from Siemens and served seven years as its CEO. His astronomical interests include instrumentation, observational aspects of solar eclipses, and binary stars, including black hole binaries. He is also very interested in the philosophy of science. 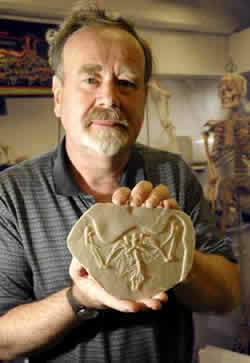 Peter Dodson, Ph.D. has spent his entire career as a gross anatomist at the School of Veterinary Medicine, and as a dinosaur paleontologist in the Department of Earth and Environmental Science, both at the University of Pennsylvania. He has done extensive fieldwork in the western United States and at Dinosaur Provincial Park in Alberta. In 1981 he discovered a new horned dinosaur in Montana, which he described as Avaceratops lammersi in 1986. He has participated in field projects in Madagascar, Egypt, Argentina, and China. With his students and colleagues, he is co-describer of a gigantic sauropod from Egypt, Paralititan stromeri, the diplodocoid sauropod Suuwassea emiliae from Montana in 2004, and the basal neoceratopsian Auroraceratops rugosus from China in 2005. His work has been supported by grants from the National Science Foundation, the National Geographic Society, the Pew Charitable Trusts, and the University of Pennsylvania Research Foundation. Co-editor of The Dinosauria, author of The Horned Dinosaurs and of several children’s books including An Alphabet of Dinosaurs, he is currently working on a book about the dinosaurs of China. 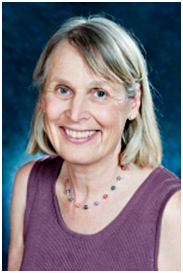 M Michelle M. Francl is a Professor of Chemistry at Bryn Mawr College, where she has been on the faculty since 1986. 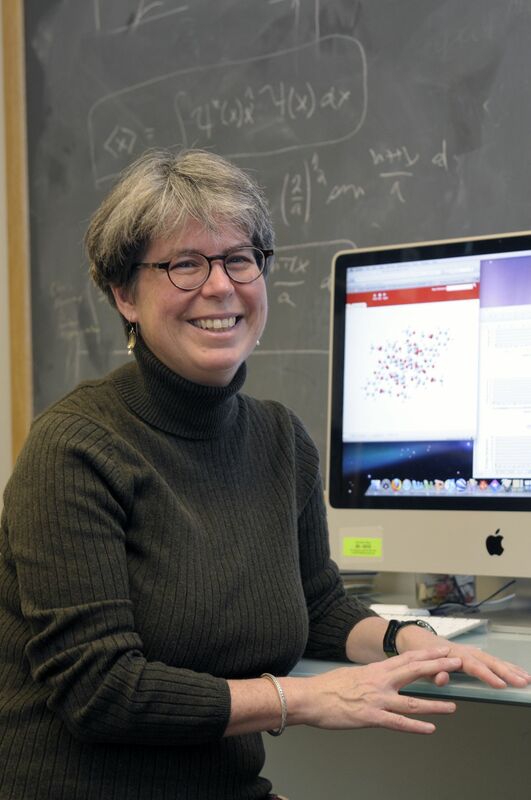 She is a quantum chemist who has published in areas ranging from the development of methods for computational chemistry to the structures of topologically intriguing molecules, and teaches both chemistry and the occasional writing course. She was elected a Fellow of the American Chemical Society in 2009. Michelle is herself a writer whose essays on science, culture, and policy appear regularly in Nature Chemistry and whose reflections on living a contemplative life in the midst of the everyday chaos can be found in a number of print and online venues. Trained as both a theologian in the Roman Catholic tradition and as a scientist, Michelle is interested in the ways in which theology and science intersect and interact. Should religion fear science? Should science dismiss the religious? How do these two seemingly different ways of taking a “long, loving look at the real”—science and theology—help us express our understanding of the universe that surrounds us? Rabbi Nancy Fuchs-Kreimer, Ph.D. is Associate Professor of Religious Studies and Director of the Department of Multifaith Studies and Initiatives at Reconstructionist Rabbinical College. She earned a Bachelor of Arts degree from Wesleyan University, a Master of Arts from the Yale Divinity School, rabbinic ordination from RRC and a doctorate in religion from Temple University. She has a longstanding passion for interfaith engagement that has led her to participate in major conferences from Doha, Qatar to Washington, D.C. For more than 30 years, she has explored what joins and separates religions in their practice and approach to holy texts. She has designed and led innovative workshops and retreats that bring emerging religious leaders together, in part thanks to two major grants from the Henry R. Luce Foundation. She writes her own blog, Multifaithworld.org, and is published regularly on The Huffington Post. Fuchs-Kreimer is on the advisory board of the new Journal of Inter-Religious Dialogue and serves as a founding board member of Clergy Beyond Borders with Imam Yahya Hendi. Previously, Fuchs-Kreimer served as director of the Kaplan Institute for Adult Jewish Studies and as rabbinic director of the Jewish Identity Program of the Jewish Family and Children’s Service of Philadelphia. She is a past president of the Reconstructionist Rabbinical Association, was a member of their Ethics and Executive Committees, and a board member of the Association for Religion and Intellectual Life. She is the author of Parenting as a Spiritual Journey (second printing: Jewish Lights, 1998) and of articles in the Journal of Ecumenical Studies, Religious Education, Cross Currents, Lilith and The Reconstructionist andJewish Social Studies, among other journals. She contributed chapters to Broken Tablets: Restoring the Ten Commandments (Jewish Lights Publishing, 1999), Christianity in Jewish Terms (Westview Press, 2000), The Torah: A Women’s Commentary (Women of Reform Judaism, 2007) and other volumes in the fields of interreligious dialogue, religion and social science, and Jewish thought. Patrick McCauley, Ph.D. is Assistant Professor of Religious Studies at Chestnut Hill College where he teaches religion, literature and philosophy. He received a Ph.D. in Philosophical Theology and Literature from the University of Iowa, an M.A. in English Literature from Binghamton University and a B.S. in Communications/Cinema Production from Ithaca College. His first book, Reading by the Light of a Burning Phoenix: A Kantian Interpretation of Hesse, was published last summer by LAP LAMBERT Academic Publishing. It offers a new interpretation of Hermann Hesse’sSteppenwolf and is grounded on Immanuel Kant’s moral philosophy. He has also published the chapter, “On the Relation of Kant’s Aesthetics to His Practical Work,” in The Sacred and Profane: Contemporary Demands on Hermeneutics, edited by J.F. Keuss. Frank Pennington is an Ordained Minister with The United Church of Christ, a national Protestant denomination of just under two million members. A progressive church, the United Church of Christ has roots in the New England Congregational as well as The Reformed churches. Frank has a Master of Divinity from Colgate Rochester/Crozer Divinity School in Rochester NY and an undergraduate major in education with a strong interest in the social sciences. A 1972 graduate of the Divinity School, he served ministries in Buffalo NY (emphasis college chaplaincy and student organizing), and churches in the Finger Lakes of NY State and in the Philadelphia region, most recently serving with the United Church of Christ at Valley Forge (29 years). In addition to formal ministry he has also taught in urban public schools in both New York and Pennsylvania. In a period of intense public division with the weakening of civil discourse along with the growth of what have been called “the culture wars,” Frank has a strong interest in the constructive inter-faith conversations between religion, spirituality and the sciences especially as these conversations might be advanced at the grass roots and “in the pews.” Frank writes a weekly blog on religion and culture entitled “Frankonfaith” found on wordpress.com/ and enjoys outdoor activities including cycling, kayaking and hiking. Associate Professor of Theology at Moravian Theological Seminary. Currently he is Associate Professor of Systematic Theology at the Moravian Theological Seminary in Bethlehem, PA. 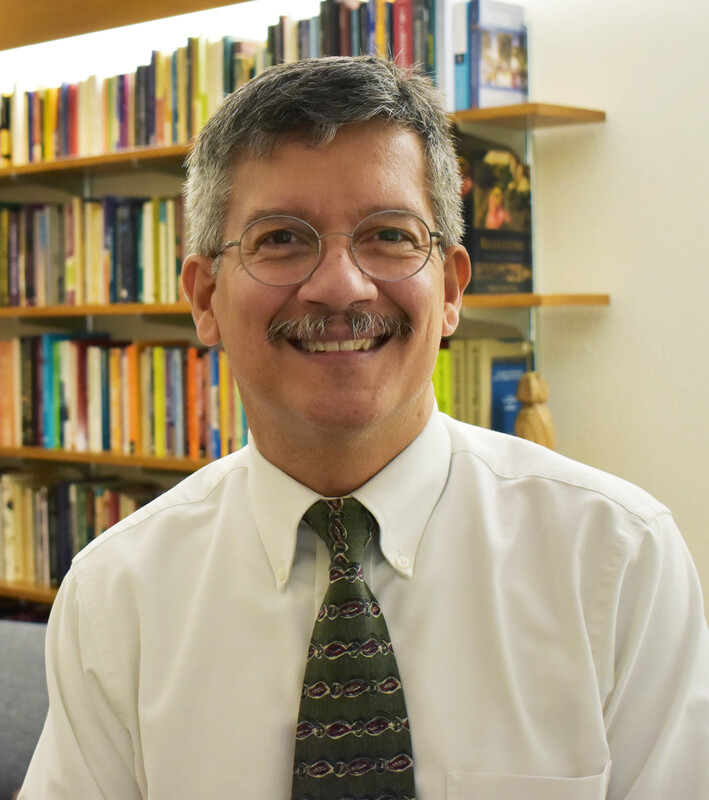 In this capacity, Dr. Rivera teaches courses on theological topics, i.e., on God, Creation, Christology, Theological Anthropology, Theology and the Sciences, and Liberation Theology. Dr. Rivera’s research and teaching also include courses that explore the relationships between theology and the traditions of Western philosophy and culture. Among his interests is the exploration of the social and theological dimensions of important scientific ideas. His book The Earth Is Our Home (Imprint Academic, 2010) explores the meaning and implications of evolutionary theory for epistemology and philosophy of religion, especially in the work of British Philosopher Mary Midgley. As a theologian and scholar, and as someone committed to the perspectives brought by theologies of liberation, Dr. Rivera moves within an interdisciplinary intellectual landscape.